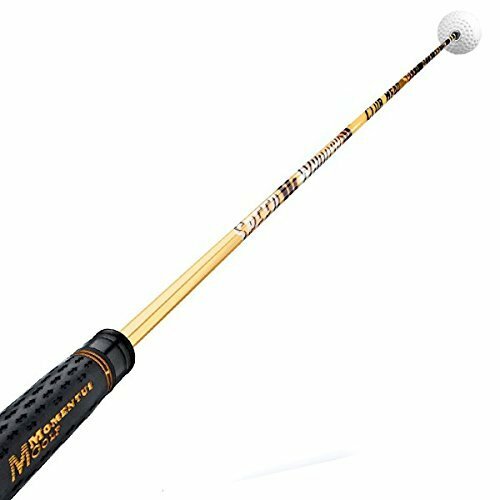 The Momentus Whoosh Swing Trainer is one of the most popular training aids on the market. 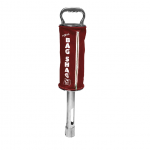 It has gained significant customer support and high reviews for improving the speed and flow of golfers’ golf swings. Many golfers love the Whoosh because it has helped them eliminate “overcasting” or problems with appropriately releasing the club during full swings. 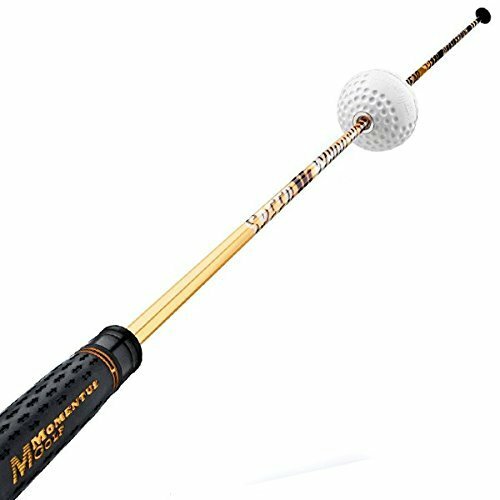 Other golfers love it because it increased their swing speeds. So, what is this two-for-one product and how does it work? 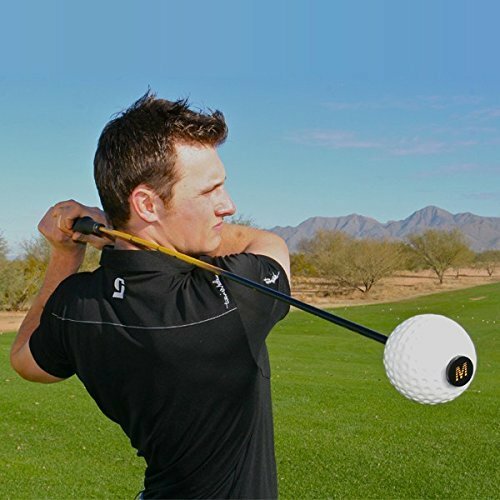 The Whoosh Swing Trainer is simple in concept and easy to use. 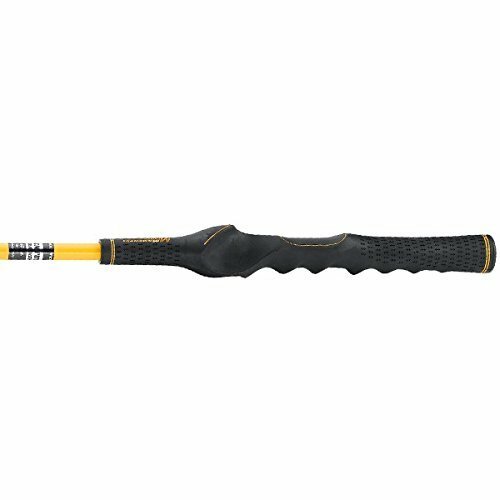 As pictured, the aid is a golf shaft with a rubber training grip on one end with finger and hand positioning guides. 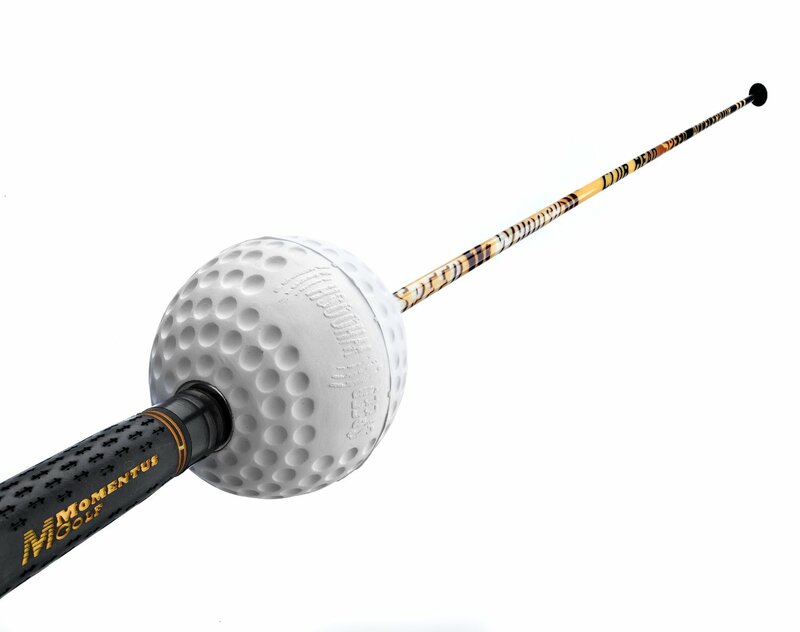 And, a weighted magnetic ball is attached to the shaft and is able to slide along the shaft during a practice swing. When a golfer wants to work on swing speed he places the ball at the far end of the shaft and using a proper swing the golfer will swing as hard as he can for 6 repetitions or so. The Whoosh Swing Trainer effectively activates “fast-twitch” muscles to “awaken” them and train them for higher speeds. 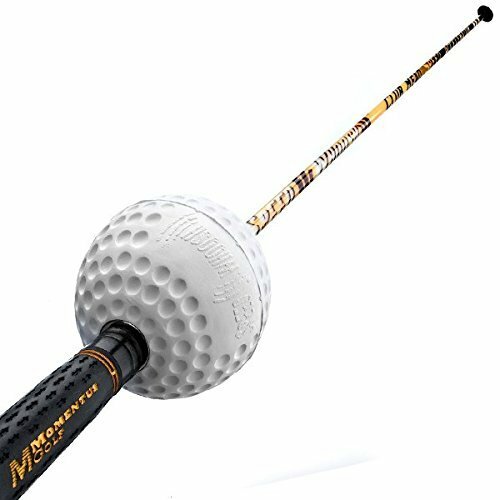 Momentus states that golfers will see a noticeable increase in swing speed immediately after using the Whoosh Swing Aids, as much as 7 – 10 miles per hour faster swing speeds. Amazon customers attest to the speed gain. “I am happy with the product. I bought it to work on driver swing speed and timing. I can see a real difference on the course and my playing partners, who were not aware that I was using the Speed Whoosh even commented on the difference in my drives”. “…my typical swing speed is about 95 mph as measured by my Swingbyte device. After using this device for 10 swings, I found my swing speed up to 101 mph. This is a huge gain for me. …I will vouch for the swing speed improvement. Glad I bought this”. 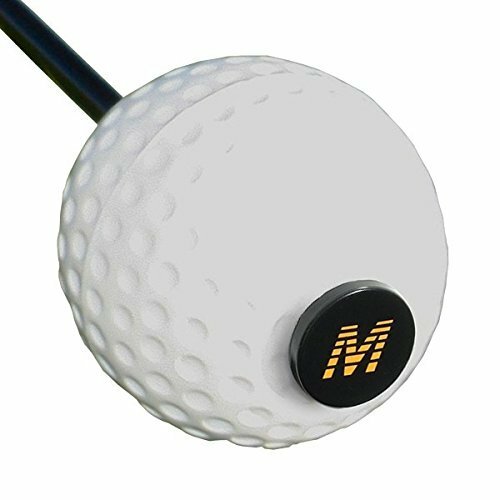 As with the speed training, the Magnetic Timing Ball feature has strong consumer support in helping golfers time their release for better impact. See below to buy the Momentus Whoosh Swing Trainer! Swings 20 plus miles per hour faster than your own driver. 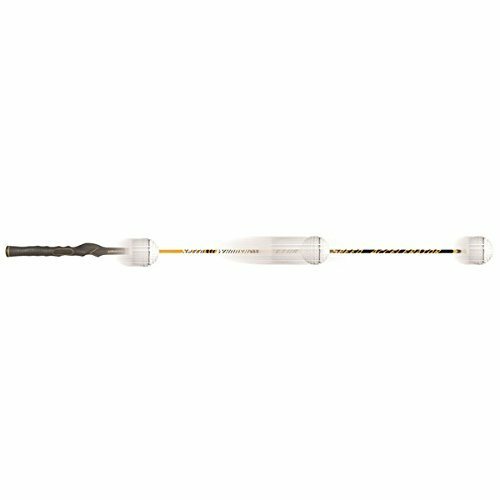 Activates the fast twitch muscle fibers through over-speed training effect. Recognized by top players on the PGA Tour as the fastest way to increase club head speed.